Readers’ Choice Awards: Vote for Bloom! It’s that time of year again! If you love what we do we’d love your vote. Vote for Bloom Family Wellness as your favourite alternative health and wellness facility. 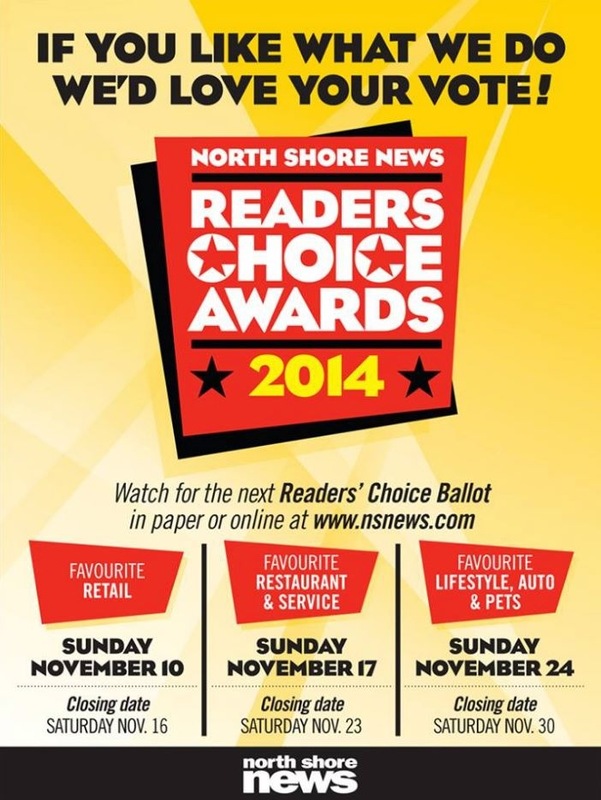 We have been lucky enough in the past to be recognized as your favourite on the north shore and we’d love for that to continue into 2014! Ballots can be filled out online at www.nsnews.com/readerschoice and only take a few minutes to fill out! Voting starts today and closes on Saturday November 30th, 2013. Thanks for your vote and your continued support! We appreciate your loyalty!